In the following article we will present a psychiatrist resume example followed by some advices on how to approach a job interview for Psychiatry. After reading everything, you will know: what are the most common questions on a job interview, how to dress, how to behave and how to write a good CV. Think about your responses to the most commonly asked questions. Practice them! To continue practicing as a Psychiatrist, rendering my time and skills in the diagnosis and treatment of mental health disorders at one of the country’s best medical and mental health establishments. 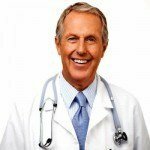 Although there are numerous Psychiatrist resume examples you can follow on this site, you should always make tweaks to them to ensure that yours is not just among those ordinary ones in a vast ocean of resumes. It is a safe bet that your interviewer will ask you details about your past working experiences, as well as pertinent information about your educational qualifications and clinical training. Thus, you should familiarize yourself with whatever you indicate on your resume. Even if you do not have a copy of it during the interview, you won’t stumble on your responses. Why is psychiatry close to your heart? What particular characteristic of yours makes you a great psychiatrist? What are your personal attributes that could deter you from being therapeutic? Describe a seemingly hopeless situation in which you felt you could no longer do anything to improve a client’s mental condition. Have you ever experienced treating an extremely violent patient? Describe the situation, how you dealt with it, and the outcome. What are the newest treatments in the field of psychiatry? Have you ever let your emotions rule over your judgment over what is good for the patient? Does the facility have the latest equipment and technology to treat mental disorders? How many patients can I expect to see every day? How does the mental health department evaluate the performance of its employees? What documentation system or method does the facility use? It is crucial to remember that asking about salaries or compensation packages is practically a taboo on the first interview. However, your response should be along the lines of “I will consider your strongest offer, “ if the interviewer brings up the topic and asks about what kind of offer you are looking for. This way, you won’t cite a figure that is too high or too low, which will either lead them to conclude that they can’t afford you or offer you an amount that is lower than your target. Hold off on negotiating and discussing your salary until you get the job offer. If this Psychiatrist resume example wasn’t sufficient for you, you are free to review some other samples and templates from our site. Browse to some related resumes below and find your inspiration.